A Lesson in Stereotypes… Or Something? 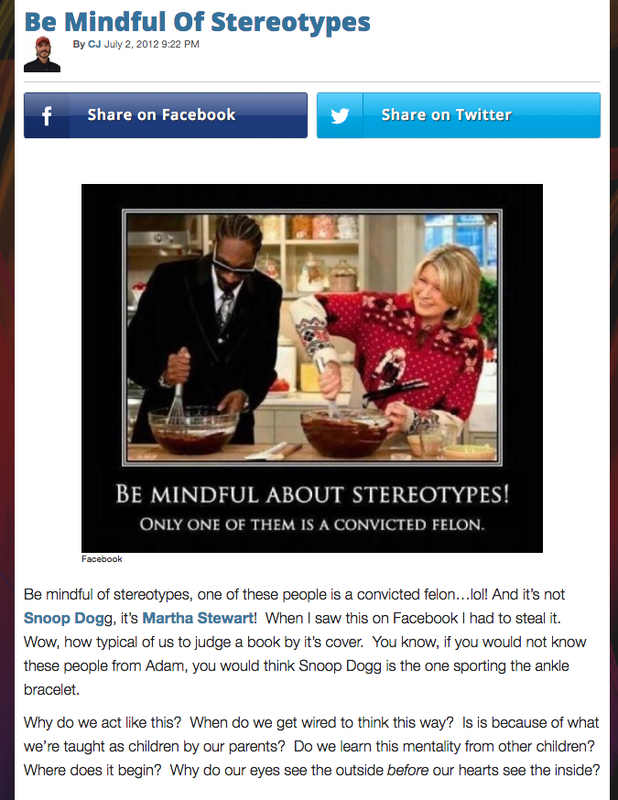 "This photo of Martha Stewart and Snoop Dogg has one convicted felon; if you immediately assumed it was Stewart, you should think again!" This meme is a wonderful lesson in prejudice and stereotypes--or at least it would be if they weren't both convicted felons... Stay skeptical, my friends! You can find more on me and my work with a search for "Benjamin Radford" (not "Ben Radford") on Vimeo.